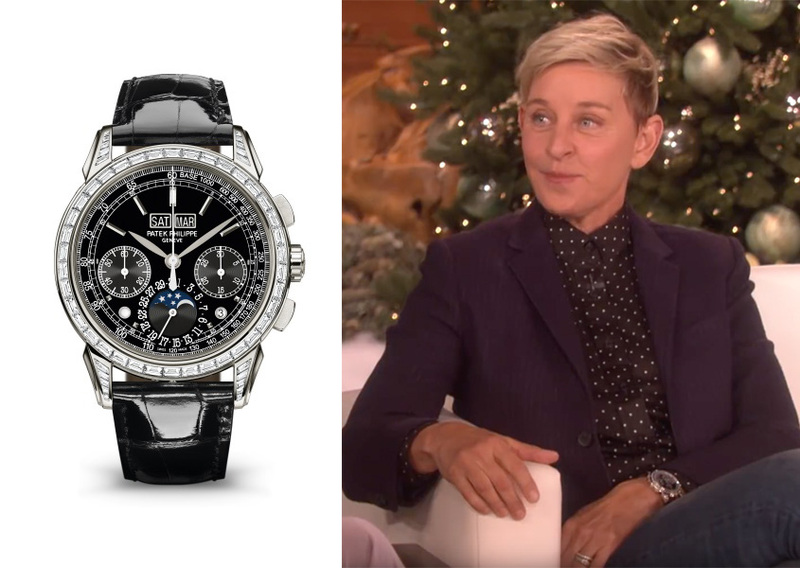 At this point it’s not news to state that Ellen DeGeneres is, in addition to being a talk show host par excellence, possessed of exceptional taste in watches. From vintage Daytonas to what appears to be most of Patek Philippe’s complicated catalogue, Ellen has some truly outstanding taste (I mean, seriously, when will she appear on Hodinkee’s Talking Watches?). And so when catching up on the latest clip, my eyes are always firmly on the wrists. And this time around, her chat with Ryan Reynolds certainly didn’t disappoint. 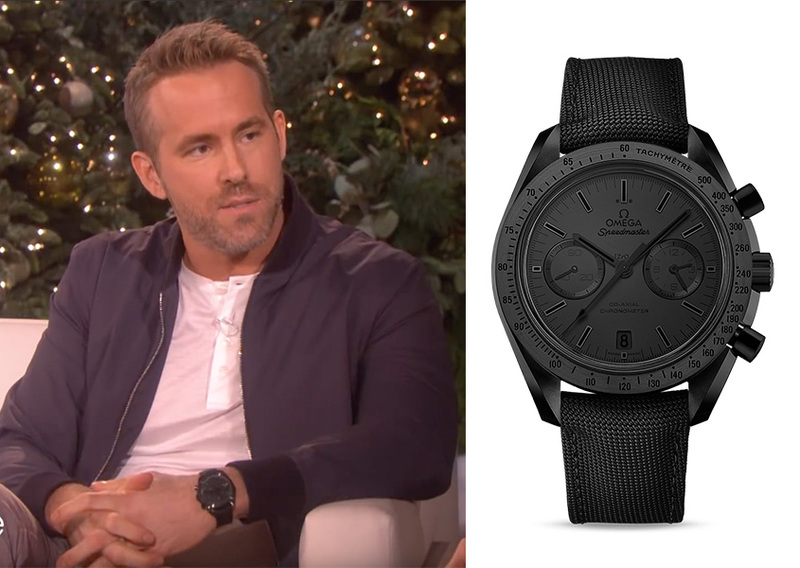 Not only was Mr Pool (conspicuously not wearing Piaget) wearing (and wearing well) an Omega Dark Side of the Moon, but he was (as far as I could tell) wearing the barely legible Black Black version. Ellen’s wristwear, though, managed to outshine Reynolds’ choice, both literally and horologically. The Patek Philippe Reference 5271 Perpetual Calendar Chronograph is a serious watch, and the fact that it’s platinum and coated in factory diamonds only makes it that much more impressive. Watches aside, the clip is worth a watch, and while I disagree with Mr Reynolds on the merits of Frozen, I can certainly get behind him riffing off The Princess Bride in the festive Once Upon a Deadpool.